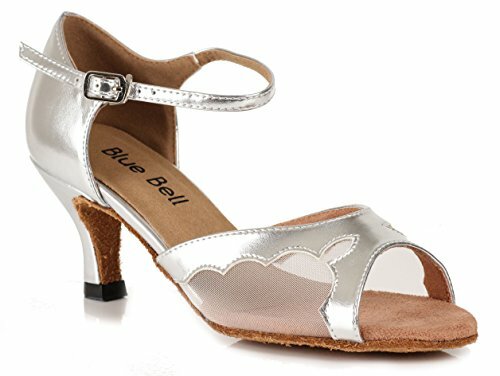 Cailtlin by Blue Bell offers a compelling look to your dance. Its open toe box and mesh vamp with its design will emit an unique aura to your performance. The lightweight design and flexible sole combined with the easy buckle strap makes the Caitlin a great shoe for intermediate dancers. The shoes are Medium width only. Please order street shoe size. We do not guarantee fitting. US Size 12 (L: 28cm). If you have any questions about this product by BlueBell, contact us by completing and submitting the form below. If you are looking for a specif part number, please include it with your message.